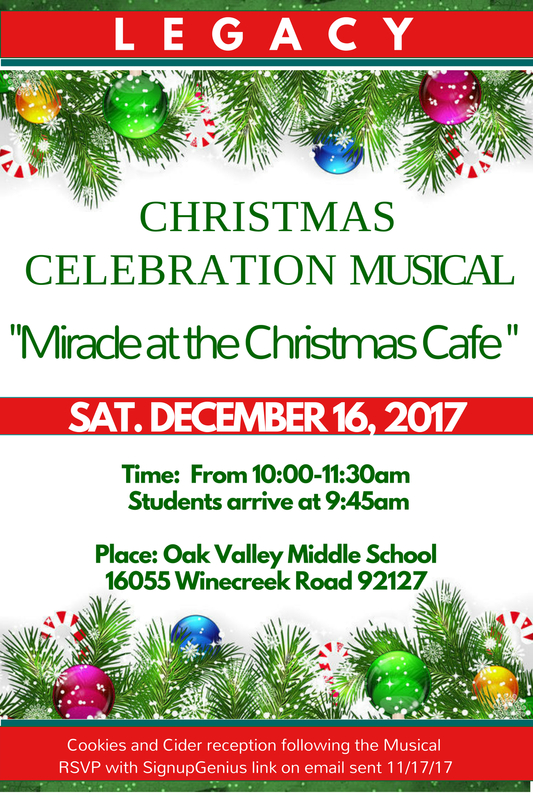 Join us on December 16, 2017 for a school-wide celebration of the birth of our Savior, Jesus! As a Christian school, Christmas is a cornerstone event. 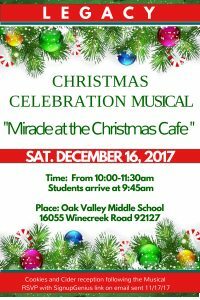 All of our students are eagerly preparing a performance of the musical “Miracle at the Christmas Café”! This annual season of fellowship is always highly anticipated by staff, students, and families. We are looking forward to another memorable Christmas together at Legacy! 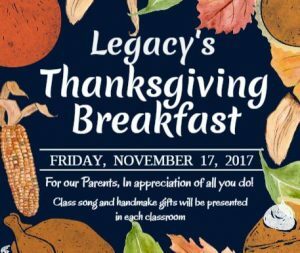 We are proud to invite you to our annual Thanksgiving Breakfast. There is so much to be thankful for, and we want to share this special time showing our appreciation for YOU! 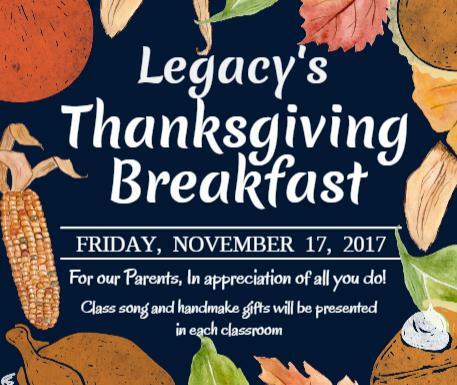 Students in each classroom will perform a song and present a handcrafted gift for their parents. An Usborne Book Fair will accompany our Breakfast, so be sure to browse the beautiful and varied books that will be on display.